Dr. Truxillo and Dr. Trask are pleased to announce that a redesigned Instant ECG app is now available on the iTunes App Store! 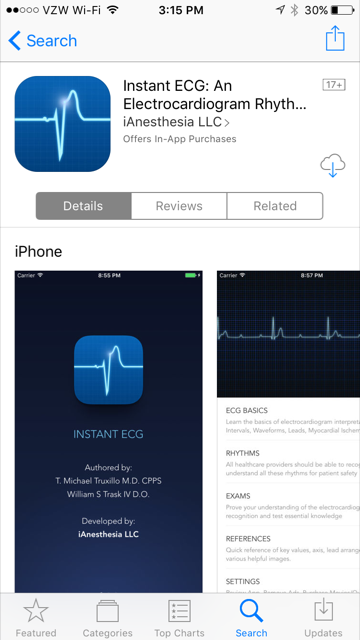 Be among the first to see the newest update to the Best ECG apps on the App Store. We collected feedback from many users to refine and optimize this app to help teach all healthcare providers the most critical rhythms everyone should know. © 2008-2019 iAnesthesia LLC. All rights reserved.